Only 5 minutes drive from the tennis club. 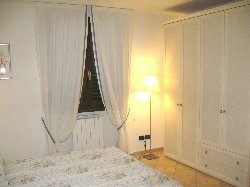 The big advantage of this accommodation is that you can easily walk to local bars, a supermarket, bank and restaurants. 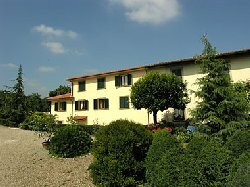 This recently restored property is situated at the foot of the hills surrounding Florence, and the city centre is only 6km away, easily reachable by bike along the Arno River, car or local bus. The “Via del Chianti” – the Chianti Road – starts from Bagno a Ripoli and winds its way through beautiful countryside and amazing Tuscan vineyards, home of the label “Chianti Classico”. La Capperaia is composed of 5 apartments and 3 ensuite rooms with cooking facilities, all decorated in a typical Tuscan style, and all have air conditioning. 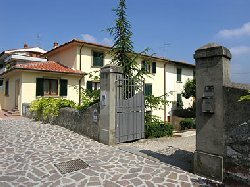 The two apartments Fiesole and Baroncelli enjoy a beautiful view of the Florentine hills of Fiesole and Monte Morello and share a large terrace, which is an ideal spot to sunbathe or to have a relaxing dinner in summer evenings. The three apartments Il Chianti, La Fonte and Morello overlook the garden. The 3 ensuite bedrooms, rooms, L’Aia, Il Pozzo and La Loggia, all have independent entrances, overlooking the small courtyard, which is the oldest part of the house. The Capparis spinosa, or caper bushes are situated here, these giving the house and the well it’s name. They once drew water to irrigate the crop fields surrounding the property. Nowadays the same water is used on the large garden around the house, full of olive/fruit trees and rose bushes. Situated on the 1st floor of the property, there is a living/dining area, fully equipped kitchen, 2 double bedrooms, bathroom with shower, and air conditioning. There is a double sofa bed in the lounge. Situated on the 1st floor of the property, there is a living/dining area, fully equipped kitchen, 1 double bedroom, and bathroom with shower. There is a double sofa bed in lounge. The wide terrace has a fabulous view towards the Fiesole and Morello hills. Situated on the 1st floor of the property, there is a living/dining area, fully equipped kitchen, 1 double bedroom with 3rd bed, bathroom with shower, and air conditioning. There is a double sofa bed in lounge. 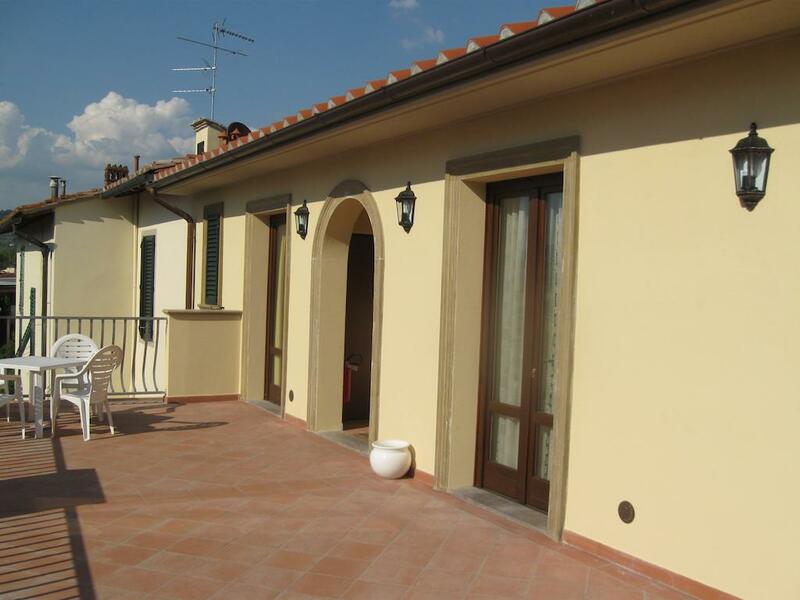 This apartment has a fabulous view towards the Fiesole and Morello hills. Situated on the ground floor of the property, there is a living/dining area, fully equipped kitchen, 1 double bedroom, and bathroom with bath. There is a double sofa bed in lounge. 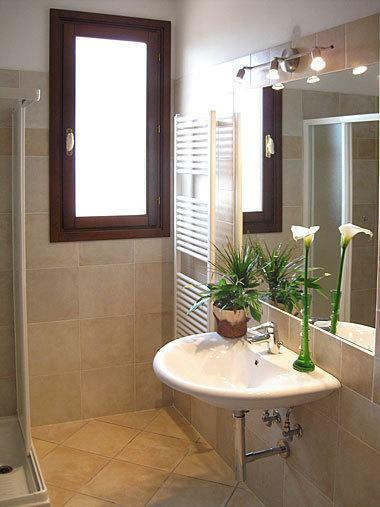 The apartment is situated on the Via Roma, which is the start of the Via del Chianti. 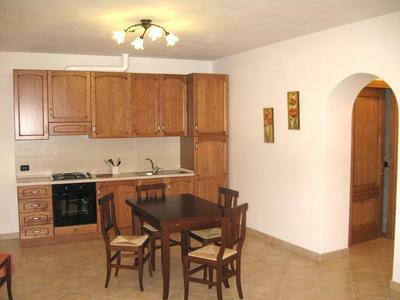 L’Aia is situated on the ground floor and consists of a living/dining area with fridge, double bedroom, bathroom with bath. There is a double sofa bed in the living area, with a large area for barbecues outside. L’Aia is situated on the ground floor and consists of a living/dining area with fridge, double bedroom, bathroom with shower. There is a double sofa bed in the living area, with a large area for barbecues outside.